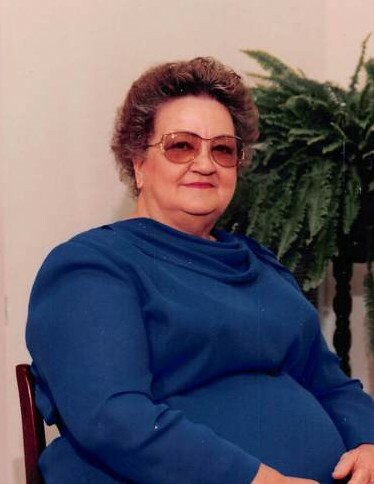 Kathleen Cannady, 92, of 738 High House Road, passed away Sunday, February 10, 2019 at Mary Gran Nursing Center. Funeral service will be held at 2 PM, Thursday, February 14, 2019 at Crumpler-Honeycutt Funeral Home with the Reverend Leanne Calhoun officiating. Interment will follow the funeral in Owen Grove Cemetery. The family will receive friends from 1 PM – 2 PM, at the funeral home and at other times at the home. Kathleen, born in 1926 in Johnston County, was the daughter of the late Lonnie Parsons and Lou Emily Howell Lynch Parsons. She was a seamstress and a member of Owens Grove FWB Church. In addition to her parents she was preceded in death by; her husband, James Elder Cannady; son, Jimmy Cannady and several brothers and sisters. Survivors include: daughters, Mavis Hobbs and Jewel Bass (Mike); grandchildren, Kenny Hobbs, Craig Hobbs, Bobby Shatterly (Tamara), and Jamie Simoneaux (John); five great-grandchildren; brother, Franklin Parsons; and many nieces and nephews. In lieu of flowers memorials may be made to the Oxford Orphanage at 600 College Street, Oxford, NC 27565.